The recruiting team at Ameri-Force has built deep relationships with top marine talent across the country. Our goal is to supply our client with the best available and highest skilled shipbuilding tradesmen with long tenures in the industry. Our reputation of providing customized marine staffing solutions is well earned. Clients come to us time and time again to fulfill their need for skilled labor with shipyard experience. Ameri-Force is deeply involved in the shipbuilding and repair industry, working as an active member of several organizations including: Jacksonville Area Ship Repair Association, Port of San Diego Ship Repair Association, Shipbuilders Council of America, Virginia Ship Repair Association, Puget Sound Ship Repair Association, and the Gulf South Shipyard Association. With over 1,000 large ships being constructed annually, and hundreds more being repaired and refitted, the U.S. shipbuilding and repairing industry contributes close to $40 billion annually to the GDP and creates over 400,000 jobs nationwide. According to the United States Maritime Administration there are 124 shipyards across 26 states actively building ships and another 200 engaged in ship repairs. Since 1991 Ameri-Force has built relationships with these shipyards to employ the most skilled marine tradesmen and laborers available. Our employees fill every role in the shipbuilding process including: marine electricians, pipe fitters, ship fitters, sheet metal workers, welders, maintenance mechanics, insulators, crane operators, and many more. 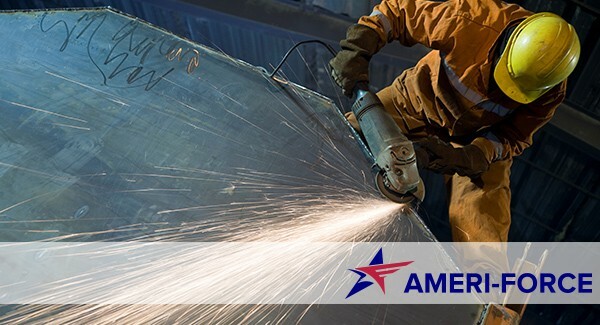 Ameri-Force employees handle repair, conversion, and alteration of large vessels, even working on prefabricated ship and barge sections for later assembly.